As the world gears up for a new day, there were some events experienced when collaborated together commenced their existence for the years to come…..
Flutter is being used at Google, with Google Ads recently having switched to Flutter for its Android and iOS apps. Other apps programmed with Flutter include Abbey Road Studios, Alibaba, Capital One, Groupon, Hamilton, JD.com, Philips Hue, Reflectly, and Tencent. First demo of the event was The History of Everything app. Reflectly, a journal app, utilizing artificial intelligence to help you structure and reflect upon your daily thoughts and problems. Flare (a utility), from 2Dimensions, lets programmers create and embed vector animations within a Flutter app, and then manuplate them with code. For integration in Flutter app, widget called FlareActor was introduced..
Live-coding of Clock App was done by Matt Sullivan(Developer Advocate, Google) and Emily Fortuna(Developer Advocate, Google)..
Flutter is Google’s answer to solving mobile mysteries with a single map. 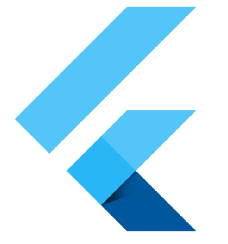 Flutter 1.0runs smoothly thanks to its use of Dart 2.1and the Skia graphics engine, designed to support applications, even on potential future 120 Hz phones, with native compilation for both 32 bit and 64 bit ARM processors. Square announced two new Flutter SDKs that make it easy to accept payments for goods and services with Flutter (including in-person using a Square payment reader and by taking payments inside a mobile app). Nevercode announced Codemagic, a new tool that makes it easy to automate the process of CI/CD for Flutter apps from a single automation. Users log in via GitHub and select the repository containing their Flutter application, after which they can immediately start a build with preconfigured defaults. Tim Sneath,Product Lead for Flutter,touched on two projects to open Flutter to new platforms. Flutter Desktop Embedding, that aims to bring Windows, OS X, and Linux support for Flutter.